According to JMA, the weather station in Furano was -24.0C at 7am. Then, around the top lift station of Furano ski resort is about -30C ? Really great touring weather day today good vis, Nil wind even up at 2000m, snow was good but great below 1500m, headed out of Ikenotaira then up to Summit it Mt Akakura then traverse down ending up at base of Kanko. Good day out. Now de-service, Onsen, Beers, Dinner, Bed, Repeat. Kletterer, nfip, elSpike and 3 others like this. elSpike, Ramenman and Stiffler like this. NTK news shows very cold Hokkaido! So was 14 days out, and that's always subject to change. Generally, I put 8 to 14 days under "outlook"
@Sandy, my observation was that your prediction was surprisingly accurate. Liked the “biblical” prediction, so sorry if it came across as negative. @Sandy, my observation was that your prediction was surprisingly accurate. I like to know the weather forecast for the time I am in [insert location here]. But I can’t change it. It will be what it is, The best days we had last week in Shigakogen were the unexpected ones...when the weather threw us something unpredicted. The snow is often more predictable than you might think, 6-8 hours out. That enables you to pick the right place to ski. Agree 100%. Val d’Isere, Cortina, Zermat or val Thorens early December/Jan, Japan later Jan/Feb, Alberta Nov to March, Portillo or Falls August (maybe TC too). I mean specific mountains in Japan, on the day, dependent on topography and wind direction.... Not general areas and time of year. Central Japan doesn't need low pressure toughs and cold fronts, it just needs the wind from the right direction. The Thursday before last it made the difference between 10cm and 45cm within 30km. Any further thoughts on following week Monday 18th? You guys had mentioned some wondering LP systems which are not great for the Honshu resorts. Are these still likely or is the forecast looking more positive for this Hakuba bound guy?? oldgeezer and Guthega Girl like this. Woke up with at least 40cm+ in Myoko, still snowing heavily. Side country day today. Touring tomorrow. Be safe out there today some very near misses and bad accidents witnessed the last few days. Kletterer, Tanuki, Ramenman and 1 other person like this. That's me and MrsOG: On JAL today (Sunday) in a week and then the 7:30am Azusa Express as per original recommendation from @Sandy on Monday 18th, for six nights in Hakuba (Tsugaike actually), so I am starting to check the forecasts too. Tanuki and Chowder11 like this. Looking better. Low position not too bad and thickness much better. Friday now potential r***, but again, nothing is certain. Looking further afield, 19th-24th shaping up pretty rough. Warm and wet for most of Honshu. Edit: re-read the date. NEXT Monday. Yeah, not great at this stage. Which I had noticed too, unfortunately. The Azusa is great, get a Bento before you get on (more choices) The last section around the lake and mountains is impressive. @Crispy013 - would Furano get rain from this or cold enough for snow ? most forecasts I have been looking at seem to show still snow for Furano from these dates ... Thoughts for Furano area please ? Can't grumble too much, I fooled the weather gods good and proper by booking a sneaky six days in Hokkaido in January at the last minute. They didn't see that one coming I tells ya. Pretty glad I made that covering bet right now. 19-20 pretty horrible for Honshu. Furano still has 528 line. Epic day in the side country today with the 70cm of fresh light dry powder. Thanks @Crispy013 - fingers crossed something happens so Honshu gets snow instead of rain. 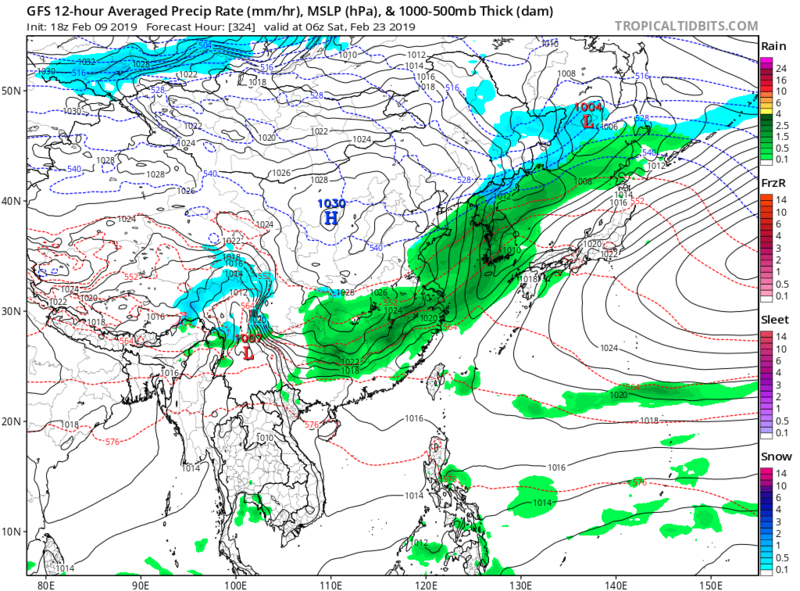 Glad Furano still in line for snow and not rain..
What's the prospect of any snow on Honshu in amongst this warm period? I'm booked in this weekend and I'm considering, after 2 days in Hakuba, jumping on a flight to Hokkaido to dodge the rain and hopefully get fresh. There is no curse, there are statistics. There is always at least one rain event in late Feb.
Joe, Guthega Girl and blueandwhite like this. Darn.. we will be in Naeba from 25th Feb -2nd March. Was hoping for something better than the 17 degree day we had last year on our visit. Just hope the wind stops so we can ride the Dragondola to Kagura, missed out last year. Here's hoping the rain goes early or goes snow. We're in Nozawa from the 21st Feb to the 5th March so hopefully the pattern might change later in the period. With two young kids skiing in freezing rain's not really an option. Anyhow, points noted and we move on! It’s my fault. The fresh stuff avoids me like no other. So first time properly skiing overseas outside of Oceania. Hakuba 13th-26th. Am I likely to get even 1 day of that famous japowo, or have I timed it really well to miss it? Stormy all day at Tenjin. Lots of snow overnight and today. That sun crust from last week gives you pause. Yeah I took my daughter to Niseko/Rusutsu in January and we had a total blast with great snow. This trip to Nozawa is with my whole family (of varying ability) so we were looking ideally more for better visibility and weather and decent on-piste rather than the deep stuff - which is why we looked later in the season. A powder day when my youngest could go to childcare would have been a bonus of course! But yeah, Hokkaido for me every time from here on in I think. If you don't have kids with you and can afford to be mobile then it's obviously a different story. The origanal post was for Central Honshu. If you read the link, it references that and Hokkaido being better in late Feb into March. The thread is about WHEN and WHERE to go for optimal conditions. Madarao, off the top out of ski boundary far skiers right. Why Hakuba or Niseko or bust. Mitchthewitch and Nozawaman like this. Not rude at all Donzah. It’s my first snowboarding trip to Japan, and late in the planning, I might add, so I’m heading to known quantities. Known in the sense that there is plenty of info on these and I feel comfortable starting there before heading farther afield. I’m totally open to seeking further. 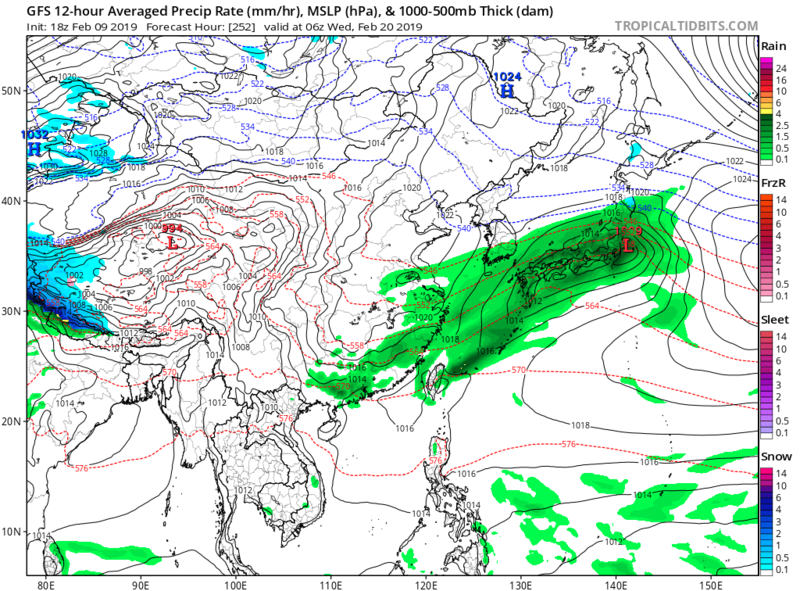 So if this rain event looks bad for central Honshu, is north Honshu to be spared? is north Honshu to be spared? I think most of us bithcing and whinging at the moment (me included) are talking about the following week. Saturday 16th onwards. fennekeg and Guthega Girl like this. We arrived in Narita last night, Currently in our Narita view hotel looking out the window to snow covered cars and roads..Still to dark for photos. Chowder11 and blueandwhite like this. While the deterministic forecasts for Next week don't look great, the ensembles look fine. Kenziepettit, Guthega Girl, rikedwards and 2 others like this.